Wasif Ali Wasif is a teacher, writer, poet, and intellectual from Pakistan. His Sufism is much comprehensive and popular among the readers of Urdu language. To make progress from a civil servant to Sufi intellectual was only his dream. Hazrat Wasif Ali Wasif R.A is the light of success for every literary person. He used to write on every topic including life, fortune, love, hate, prayer, progress, promise, expectations, hopes, and sorrows. His most of the essays contain proses about everything that means to the human being. In this article, we will learn about Wasif Ali Wasif’s life, biography, and Literary Work. 3 More About Hazrat Wasif Ali Wasif R.A.
Wasif Ali Wasif was born on 15 January 1929 in Khushab, Pakistan. His father name is Muhammad Arif who was also a literary person. He is the man of Aphorism whose proverbs are almost used all over the world. Among all, he was a great Sufi writer and poet who used his pen to bring reform in the society. He passed his early days in his birth city Khushab. Before going to Jhang, where he did his matriculation and Inter from Jhang, he received his early education there. It lightened a new essence in his life. After completing his bachelor’s education from Islamia College, he joined Government College University, Lahore. He opted English literature for Masters degree and completed it from GC University. Most of his writings are about GUFTGOO which is a complete literary series. Guftgoo contains 25 volumes which are available in Audio and Urdu books. Despite writing books, he also wrote columns on a regular basis for daily newspaper Nawa-i-Waqt. To make his dreams into reality, Wasif Ali Wasif chose the profession of teaching. Subsequently, he established his own institute ‘Lahore English College’ in 1962 near famous Anarkali, Lahore. He also passed CSS exams but, did not pursue due to his tranquility of mind. Wasif was a good hockey player and he, received many awards during his school and college days. Having an interest in Sufism in childhood, changed his life later as he met many Sufi intellectuals throughout his life. He is best known as the master of aphorism who has the ability to describe the meanings of words in dewdrops. Wasif also has the pseudonym “Baba g Huzur.” It was only due to his intellectualism and Sufism poetry. Sometimes, he used to spent his all-time in remaining silent. “Guftagoo” of Wasif Ali Wasif is the hallmark to his fame. So, it all comes due to his intellectualism and teaching affections. 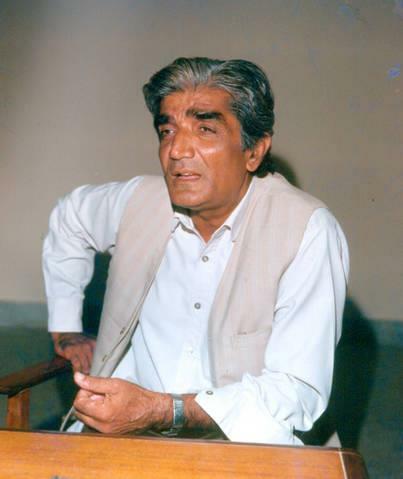 The most respectable Sufi intellectual Wasif Ali Wasif died on 18 January 1993 at Lahore. His shrine is in Mianisaab graveyard where thousands of his followers come to pay tribute each day. His annually Urs celebrated from 22 to 24 Rajab. Here is a complete list of Wasif Ali Wasif’s books. More About Hazrat Wasif Ali Wasif R.A. It is a distinct reality that there is no such writer of Urdu literature who fetches more fame in Sufism. Since he starts writing prose and essays, he is the only writer whose aphorisms use as quotations. His every writing shows the true spirit of Islam and Sufism. All of his literary works considered as the most dignified thinkings by any Urdu poet. Wasif Ali Wasif remained a teacher for years, later followed by poet which was another great contribution to his life. Kiran Kiran Sooraj (Collection of Aphorism) was his best selling book all the time. Now, the readers can read all his books here. You may also read about Farhat Ishtiaq Biography & Literary Works and Akhtar Raza Saleemi Biography & Literary Works.